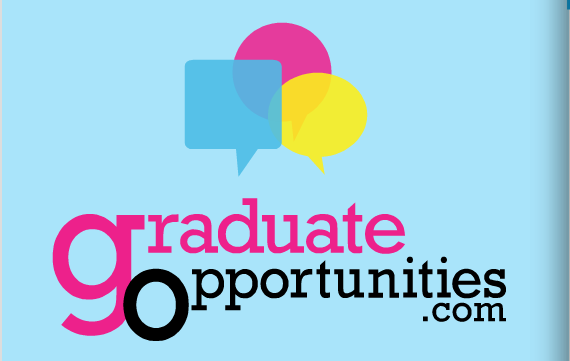 Graduate Opportunities is your one stop shop for information about the 2015 graduate program intake. They have a complete list of employers, the grad programs on offer, resources to assist your job search, information about graduate statistics and salaries and a tonne more. They are always updating their social media with new employer profiles when applications open, so follow them to be right on top of it and get prepared early. As these programs are very competitive, you will need to spend a lot of time and effort on your application. Ensure you research the company, including industry trends. One Griffith student had an interview at Ernst and Young last year for their vacation program, and she was asked a question about a major development that had made headline news in the business world. The average news consumer may have missed this crucial bit of news, but the student had spent hours scouring not only the company website, but all news related to the industry. Knowing this information made her stand out, and consequently, she secured this golden opportunity in her undergraduate years. 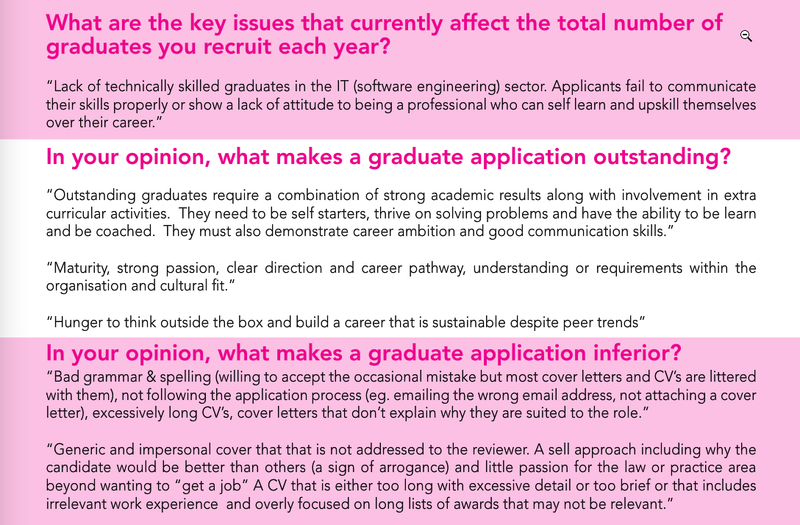 Another story that has impressed the Careers office is a student who spent one month perfecting her application to a major graduate recruitment program. She secured the job – but the notable thing was that the total amount of applications she submitted was just one. We don’t recommend you pin all your hopes on one company but this example really demonstrates the importance of knowing the company and industry you’re applying for and spending time on tailoring your application to ensure it targets the position you’re seeking. For more information on researching employers please visit our website. Remember – when your application is ready to send off, make sure you get it checked over by a Careers Counsellor. You can book an appointment to get your resume, cover letter or selection criteria checked via your CareerBoard account. What if I’m not in final year? The same companies often offer vacation programs or cadetships for undergraduate students. This is a perfect way to set yourself up for your application to the graduate programs in your final year, as you would already have experience within that organisation, and have made various contacts. You can find information about vacation programs on Graduate Opportunities, or check CareerBoard.